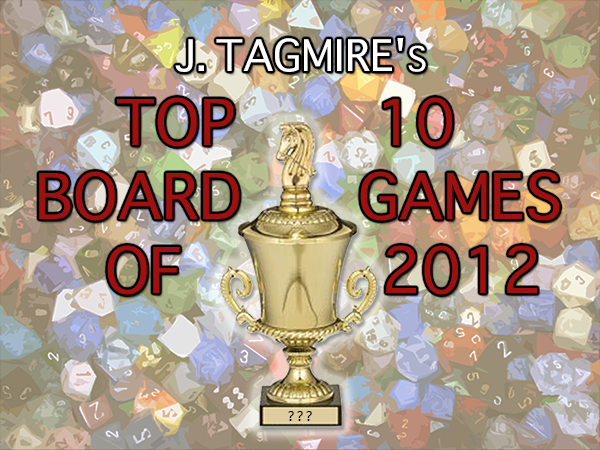 Fruitless Pursuits: J. Tagmire's Top 10 Board Games of 2012! Last year, Risk Legacy took the top spot because of it's innovative campaign mechanics, where players modify the board as they play the game. Writing on the board? Tearing up cards? It's all crazy and had a huge impact on me last year. Now... which game will take the trophy for 2012? First, two 2011 games that made a huge impact on my gaming sessions were King of Tokyo and Cards Against Humanity. I play King of Tokyo until a few months ago and didn't even get a copy until late 2012, but man that game would have been high on this list. Cards Against Humanity has dominated our game nights as well and the expansions have been better and better. And there are plenty of games that I haven't had a chance to play yet. The most important one to note is probably Android: Netrunner, which has been sitting in its shrink wrap since Black Friday. On to my top 10 Board Games of 2012! This is a newly themed version of The Resistance, a social deduction game where players put together teams to secretly vote on missions. But some players are spies and fail the missions. The Resistance was great, but it was basically cards. 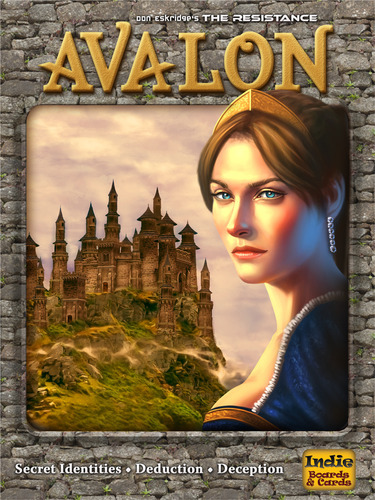 There were cards to assign people to vote, cards to vote with, cards for another kind of vote… The Resistance: Avalon tightened a few things up, and had a component overhaul that makes the game flow so much better. Plus, it added Merlin, a player who knows who all of the spies are, and needs to publicly get that information to his fellow players without revealing himself. So much loud, angsty fun in The Resistance: Avalon. 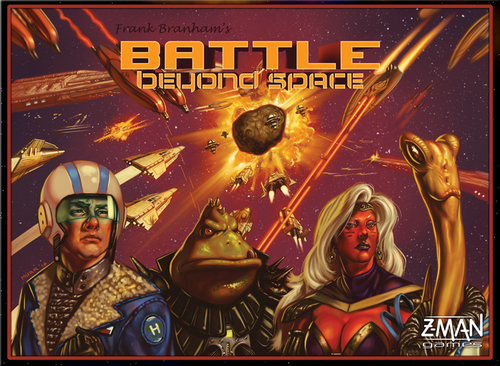 I played this first at Gen Con and was floored by the bags and bags of amazing plastic spaceships. Their are 4 armies with 3 different types, and all of them look really cool. Another early draw was the box cover illustration that reminds me of a Ronald Chevalier novel. But aside from the sensory overload, it's a fun and strategic, yet-random game. Each turn you flip a card that tells you how many ships you can move, how far, and then how many sides of the hexagon to twist each ship. Setting up for the unknown next card keeps you on your toes the whole game. 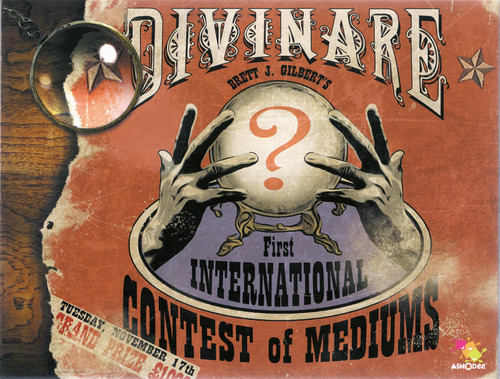 I first played Divinare a few times in a row at the World Boardgaming Championships, and out of the many games I've played, this little one stood out the most. It's a fortune telling themed game, where players have to predict how many of each card is in the deck. There are various ways to gather the information and many ways to prevent your opponents from properly making their choice. Such a simple concept! And done so well. This is the game that started off the big kickstarter games boom. It was the first to hit $100,000, which, was a really big deal at the time. Since then that number has been blown away, but I don't think the impact of D-Day Dice will ever be forgotten. 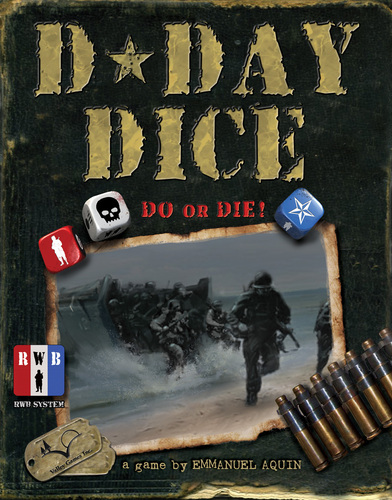 The game itself is a simple, fun yet brutal little dice game. It's a cooperative fight-to-the-finish game, and I play it more by myself than with friends. Also, it came with a billion maps, which makes the game almost infinitely repayable. If there was an award for best production, Seasons would get it. The big, chunky dice are very nice, but have you looked at the box insert? That is a thing of beauty. The way that the components fit inside… it's just perfect. The game is solid too. There is a drafting phase where you set up your bonuses for the entire game, then you roll dice and make it all start to work. 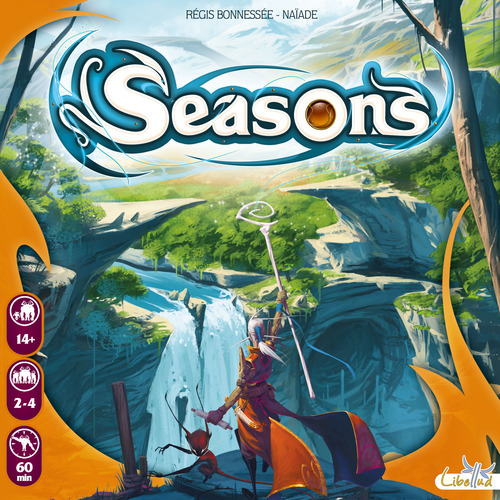 This one got a lot of praise at Gen Con, and it deserves it. Don't let the odd cover art on this one fool you. Floodgate Games may have done the next best thing to figuring out actual time travel… they figured out how to make an awesome time travel board game! Legacy: Gears of Time took about half of a game to click, but when it clicked, it was once of those once in a lifetime feeling. Similar to (spoilers) when you found out Bruce Willis was dead the whole time. 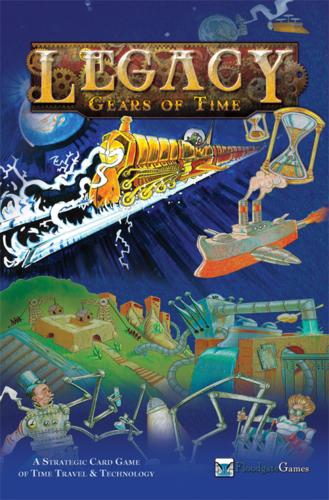 It's a great game about making inventions work, with a really cool prerequisite system that forces you to travel back in time. 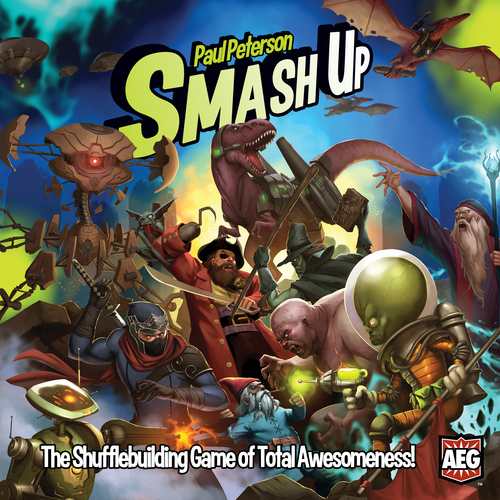 I picked up Smash Up at Gen Con and wasn't sure at first. My flight was cancelled, I was tired and trudged through the first game. It's a card game where you mash together two different factions (Alien Ninjas, Dinosaur Wizards, etc) and fight over control of territories. My complaints were that it was fairly light but loaded with text, so it felt like it missed it's target. But now, a few months later, I'm drooling over the expansions and having a great time playing Smash Up over and over again. 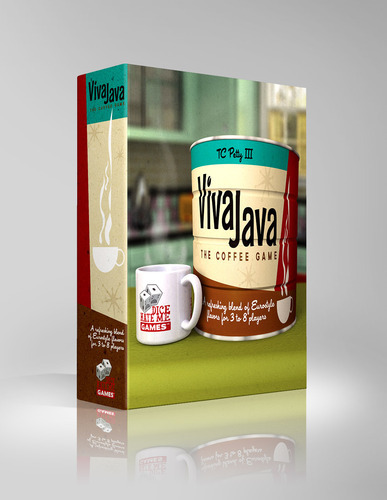 Viva Java is one of my top games of all time, and the first time I played it I assumed it would be the same for many others. The reason it didn't hit #1 or #2 on this list is because it plays best with a large group, and my group will often peak at 5. The game is a brilliant euro style coffee bean blending game, where players work together in groups trying to create the best blends. Beans are pulled from a bag, but with insight, special abilities, and cooperation the game really comes into play. With a large group of gamers who want to play a non-party game, this is the absolute one to play. I usually don't like miniatures games. They are usually pretty expensive, have long play time, and I can't paint to save my life. But X-Wing changed all of that, except the painting part, they come beautifully painted. 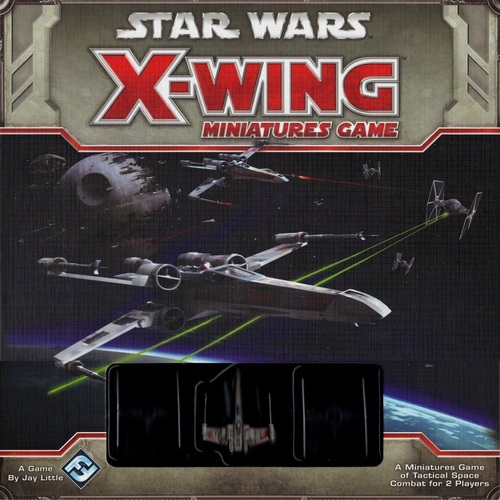 X-Wing is a much improved remake of an old favorite, Wings of War. Two or more players line up their squadrons and go at it. You plan your moves in advance, and then see what happens. If this wasn't Star Wars, I would have skipped over it, but being Star Wars it's a great intro to miniatures for me, and from what I've seen, many others too. I cannot wait for the Millennium Falcon to come out. 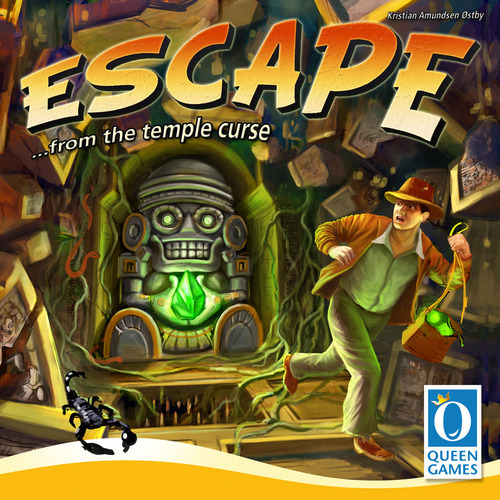 Escape: The Curse of the Temple was made exclusively for me. It has all of my favorite things added into 1 game. It's short (10 minutes! ), has awesome custom dice and tiles, great artwork and graphic design, and a really cool theme. You play as Indiana Jones-ish folk trying to find relics, then get out of the temple before you are trapped forever. All players frantically roll and re-roll their dice at once trying to get the combination they need for themselves or the group. It's so much fun and made a huge impact on me this year. There is so much to look forward to in 2013 that I don't even know where to begin. I want more of the same but all new games as well. I want something to blow me away the same way Escape did this year and Risk: Legacy last year. Surprised to not see Lords of Waterdeep on your list! Snowdonia, Keyflower, Tzolk'in and Africana would also make my list. Still got a few unplayed, yet well-liked games from 2012 like Android: Netrunner and Fleet. Also, Trajan, which is technically a 2011 release, but in very limited numbers and hard to get a hold of before last year, so I'd probably count it on my best of 2012 list. I still haven't played Lords of Waterdeep, but it sounds like it should be on my list. I've heard the box is a little weird though. Also want to play Africana and most of the others you listed. And speaking of lists, I want to see your movie lists! I am pretty certain LoW will be right up your alley. Africana probably will be too - It's sort of Ticket to Ridey, but a pick-up and deliver game. I was a little underwhelmed at first, but I really like it now. Actually it's been a very light year for me. I've seen like 3 films. Obviously I've been spending all of my time playing games. And I'll definitely take those two recommendations and keep an eye out for them. Board games are more than just a game; it requires skill, critical thinking and learning how to estimate your moves for a sure win. These techniques are also applicable to some best poker tips, especially for the beginners. What a list! I wanna to play all those board games especially smash up! Thanks for the list Jason!